If you tend to get excited over deals and discounts, you’re certainly not the only one. For me, nothing beats the idea of going grocery shopping and taking advantage of the best sales so my final bill ends up being under budget. Major brands and even small retailers have been using deals, offers, and coupons to entice shoppers and actually get them to spend more money. When looking out for deals and discounts, be sure to maintain control over your spending habits so that you don’t cancel out any potential savings. Scoring a deal when you need to make a purchase can always be leveraged to help improve your finances since you’ll be able to keep more money in your pocket. 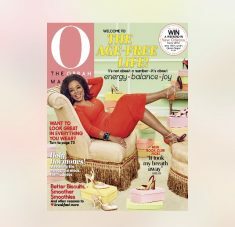 I was featured in an article for Oprah Magazine called ‘4 Ways to Get a Better Deal Than Anyone Else’. If you think paying full price is ‘so last season’ you’ll love all the great tips mentioned in this article. Though this is geared toward summer, many of the tips apply to any season. In all honesty, most people don’t actively search for deals when they get ready to buy something. Perhaps, the possibility of finding a worthy deal seems unlikely or like it would be too much work. On the contrary, I’d highly recommend abandoning that mindset if you have it and putting forth a little effort to save more of your hard-earned money by scoring deals most people tend to overlook. Quality deals and discounts do exist and brands want you to use them guiltlessly. If you could get your furniture for 50% off and clothing for 20% off regularly, that could make a huge difference in your cash flow. You can either pocket your savings and put them toward another purchase, stash them in a high-interest account, or use the money strategically to meet another goal. Whatever you decide to do with the extra cash, remember that small change can add up over time.